Journey “under the sea” with Ariel and her aquatic friends in Disney’s The Little Mermaid JR., adapted from Disney’s Broadway production and the motion picture! Based on one of Hans Christian Andersen’s most beloved stories, Disney’s The Little Mermaid JR. is an enchanting look at the sacrifices we all make for love and acceptance. Please see the camp registration form below. The CTP offers an annual Winter Vacation Theatre Camp during the public schools’ February break. 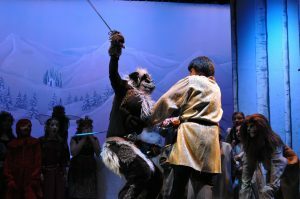 Our camp offers young actors ages 8 – 14 the chance to be involved in a musical production but without the stress of auditioning; all registered campers are in the show, though if there are actors interested in a specific part, they are able to audition for that part if they so choose. Camp runs for four days, Monday – Thursday, from 8:30 – 3:30 at the Community Players’ Studio, where we rehearse the show, gather props and costumes, and prepare our set. Our adult staff includes the artistic director, the music director and the choreographer, as well as teen student assistants who act as stage managers, set painters, costumers, and all-round Girl and Boy Fridays! The final day of camp is held at our performance venue (most recently at Pembroke Academy’s theatre); campers follow the same time schedule, arriving at the theatre at 8:30, and we have a full day to put our show on stage with lights and sound. We have a pizza party for dinner, get into costume, and end the week with a final free show for family and friends on Friday evening! Registration forms are typically available online, near the end of December, to download or email to the director. An email announcement also goes out around this time to all on the CTP’s email list; if you would like to be added to this list, please contact director Karen Braz at k.braz@comcast.net. 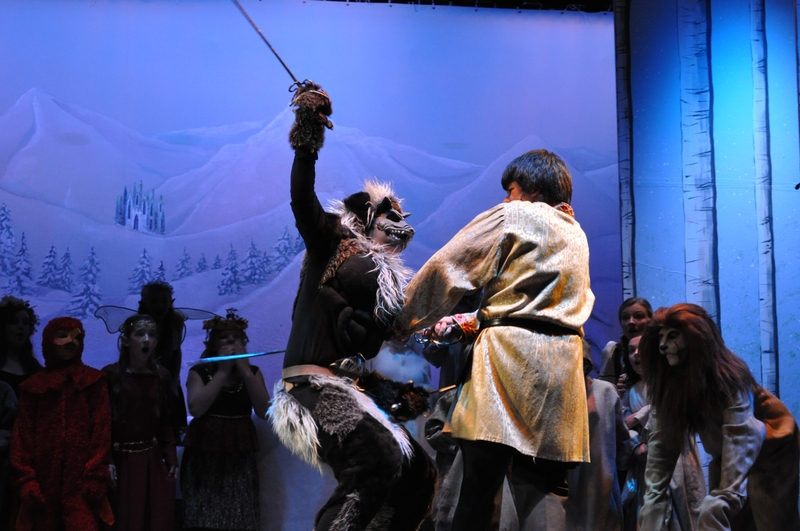 Cost for the Winter Vacation Theatre Camp is $185.00 for Players’ members, $200.00 for non-members.